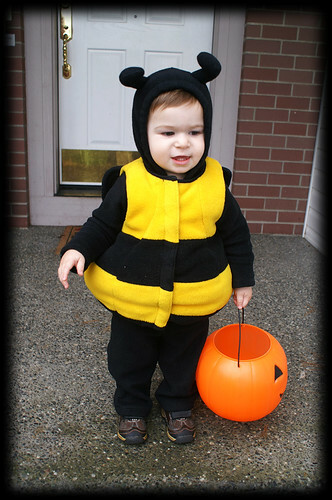 A Tender Heart » Blog Archive » Happy Halloween!! From our cute little bumble bee! Off on his very first trick or treating ever! 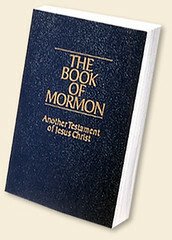 Does he like to watch “The Bee Movie”? He looks so cute, hope he got some treats. 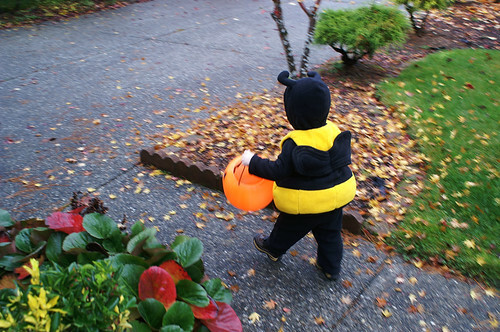 He looks adorable as a little bee… I hope you guys had a safe and Happy Halloween. LOVE IT! That is the cutest costume and he looks darling in it. I hope he had a good time! So cute! Can’t wait to see how the rest of the night went! Where are you in all of these pictures?